In this Egyptian adaptation of Leo Tolstoy's Anna Karenina, Nawal (Faten Hamama), a young middle class woman, is asked by wealthy politician Taher Pasha (Zaki Rostom) to be his wife. Excited by the dreams of wealth and luxury and to protect her brother Mamdouh's life who is threatened by Taher, Nawal agrees to the marriage not aware of the misery that is soon to follow. 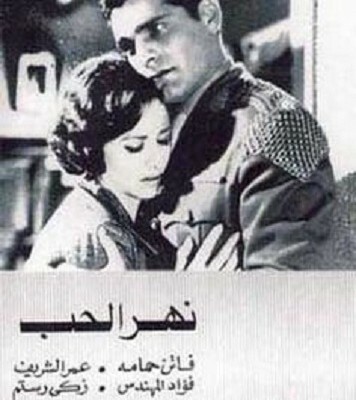 Nawal's life changes however when she meets young military general Khalid (Omar Sharif) a few years later on a train while traveling to visit her brother. The two fall in love and a great amount of tension builds between Nawal, her oppressive husband Taher, and the man she loves Khalid until the film's disastrous climax in which all things dearest to Nawal come to a crashing end. Taher finds out about the affair and tricks Nawal into thinking he has divorced her so that she can live happily with Khalid as long as she agrees to never sees her son again. Nawal agrees to this and goes on a trip with Khalid, but her happiness is cut short when Khalid gets sent to fight in a Palestinian war and dies. Heartbroken and hoping to be reunited with the only thing Nawal has left, her young son, she returns home begging Taher to take her back (even offering to be his servant just so she can see her son on a daily basis). Taher refuses claiming that her son already thinks she has died and that he must never know the truth. Nawal then runs away from the Pasha's home to a near by train-crossing where she commits suicide by having a train run over her as visions of her son watch in the distance, a shot for shot recreation of the nightmare Nawal has in the opening scene of the film.